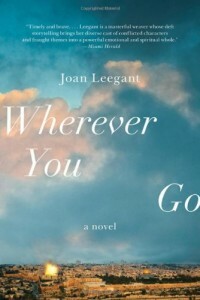 Today, I’ve got a great guest post from autho Joan Leegant. I will have a review of her novel, Wherever You Go , in the coming weeks, but today she has agreed to talk a bit about her writing process. 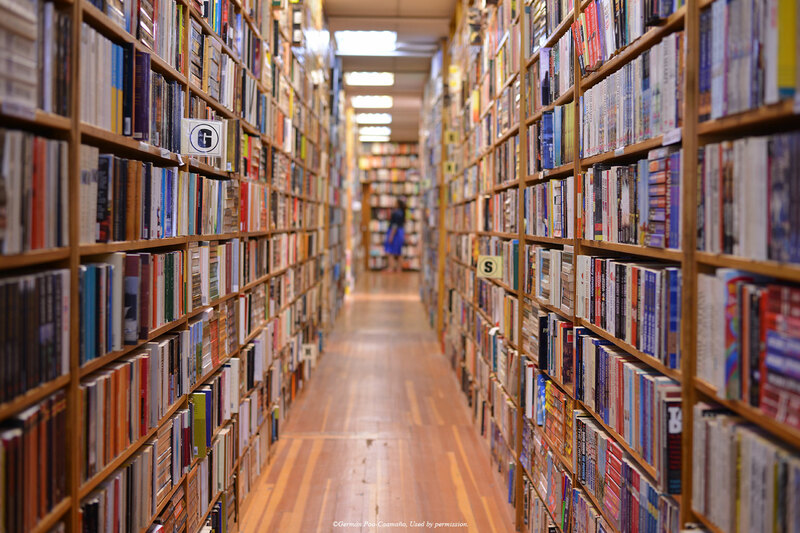 One of the things I’m always curious about when I talk to authors is how do they do it? How do they write? Where do they write? When do they write? What are their rituals when it comes to their writing? Joan has shared a bit about her writing schedule and how she made it fit with her family life, which makes very interesting reading! I’m a night person, and my best hours for writing are between midnight and 5 AM. This can make having a regular life difficult or, at the very least, inconvenient. Morning dentist appointments, a teaching schedule that requires I get to class before noon, certain family obligations: it’s like asking a normal person to arrive at work at 2 AM. I was like this long before I began to write fiction. As a law student, I’d stay up all night and go to 8 AM classes at what felt like the end of my day, not because I was cramming into the wee hours but simply because night-time was when I was at my sharpest. Of course, for many years while I worked at regular jobs, I forced myself into the daytime mode. I did the morning commute, got home at 6, went to sleep at midnight, and felt like I was living half a life. By the time I began to write fiction, I was almost 40 and had two young sons, ages 3 and 5. I worked part-time and during the summers, often at jobs I could do at home at any hour, and wrote fiction late at night. When my kids reached school age, my husband got them up and dressed and fed and to the bus. Each new school year, I would try to switch to daylight hours. Each September, I’d think: Great, the children are in school, I have a whole day to write! 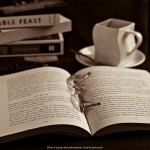 I’d go to the desk with my cup of coffee like you hear other writers do, and begin. The stuff was terrible. The prose was wooden, the story dead on arrival, my brain in a fog. I’d walk around all day discouraged and fatigued and not a little bit guilty, certain I should give up writing and go back to being a lawyer, contribute more to the family income and stop being such a sloth. Then, at around 11 PM, when my husband was asleep, I’d suddenly spark right up, my mind crystal clear and brimming with story ideas and sentences and characters. By mid-September, I’d give up on my noble effort to not live like a bat, move into night mode, and get to work. My family adapted to my odd schedule. If one of my sons woke up frightened or lonely in the night—the middle of my most productive hours—they knew they could come into my study with their blankets and pillows and sleep there, as long as I didn’t have to talk to them. This was fine for everyone. They’d drag in their quilts, curl up under my desk, and go right back to sleep. Some weeks, someone would be snoring under my feet every night. Both my sons now work in crafts that demand long hours of solo concentration – one is a boat builder and fine woodworker, the other a filmmaker – and I like to think my peculiar writing habits showed them that it’s ok to respond to the demands of your art. To make progress on my novel, Wherever You Go, I went to artist colonies for stays of 4 or 6 weeks – MacDowell in New Hampshire, Yaddo in upstate New York – often in deep winter, the better for hibernating. During the final revisions I was teaching in Tel Aviv, and though I had a perfectly nice rental apartment with my husband, I holed up alone in friends’ empty flats for days at a time. I once heard Toni Morrison call herself “a binge writer,” meaning she would work for long stretches without stopping, sometimes in a hotel room. Joan Didion reported sleeping with her manuscript during the later stages of a book. I rent an office that’s a ten-minute drive, fifteen minute walk, from my usual home outside Boston, and I often sleep there, to stay connected to the work. 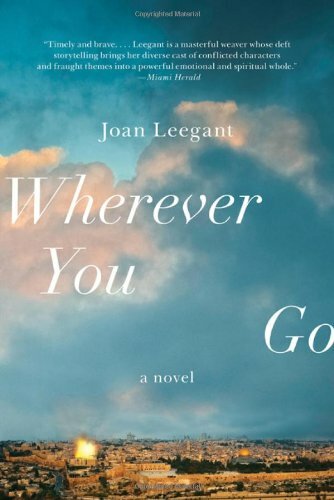 For more on Joan Leegant and Wherever You Go, check out her website. I bet it would be difficult to be on a different schedule than the rest of the world. Great guest post! This is wonderful Joan. Of course any other female writer who tries this must understand that Joan has the most supportive husband in the world.